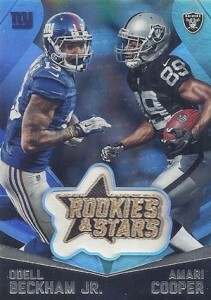 Lost in the shuffle among new NFL releases, 2015 Panini Rookies & Stars Football is indeed back for another year. Although the product was not formally solicited like most other products, Panini confirmed the familiar brand would return with an impromptu box break on Twitter. The retail-only product has also been confirmed as exclusive to Target. 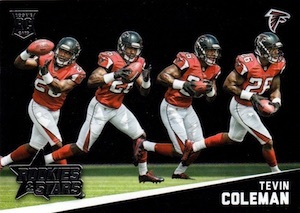 2015 Panini Rookies & Stars Football information is limited at this point, but the 200-card base set is enhanced with a variety of retail and Longevity parallels. In previous releases, Longevity was a separate retail release of R&S that came later in the season. However, this year there will be only one version. 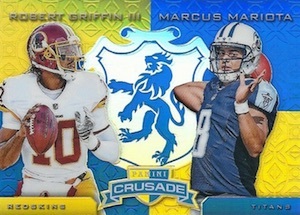 Crusades, a popular insert in the hobby, also receives a strong focus with a 90-card checklist, several low-numbered parallels of varying color and a dual-player, Crusade Combos version. 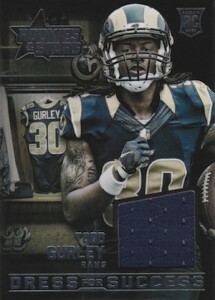 Multiple memorabilia inserts add to the product. 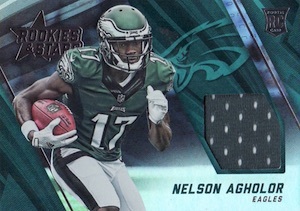 In addition to base versions for Dress for Success, Rookie Jerseys and Star Materials, collectors can also find a handful of Longevity parallels. Manufactured relics come in the form of Rookies and Stars Embroidered Patches, which fall one per box. 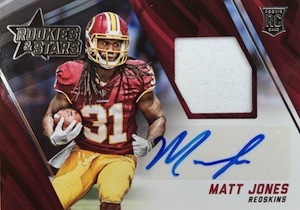 2015 Panini Rookies & Stars Football also has several autograph options, including Rookie Signatures and Rookie Jersey Signatures. Again, both are also found in several Longevity parallels. Lastly, Progression and a few die-cut inserts fill out the product. Progression inserts feature a multi-image display of specific play. 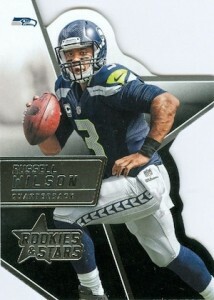 Among the die-cut options are R&S Die-Cut Rookies, R&S Die-Cut Stars and Star Studded Die-Cuts. All the inserts come in both basic parallels and Longevity parallels. 9 cards. 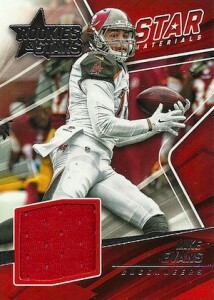 *Card #5 only available in some of the parallels. Not all cards found in each parallel. View the full spreadsheet for specific parallel print runs. Every Target Exclusive product has been horrible. I used to enjoy this product every year, this will not even bother to look at it let alone purchase it. Not a huge fan of it but it’s a nice product with I think better design than previous years. Definately something that I’ll trade or buy to get some singles. And maybe on black Friday sales or Small Business sales buy a box. 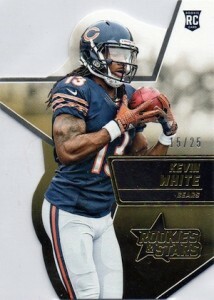 Good set however too many inserts not enough in packs. Not a fan of the base but like the inserts. 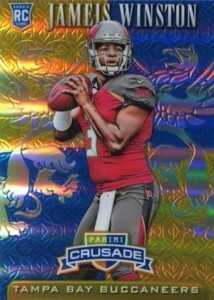 What bird is on that Crusade insert? Quite spendy but great looking cards and inserts. Hits galore. Bought one target blaster box. Drew Brees/Garrett Greyson embroidered patch, La’veon Bell gold 25/25, & Marcus Mariota RC. Few other regular inserts. Not a big fan of die cuts, too easy to get damaged. Also too many parallels for the inserts. Least I pulled some decent cards though. 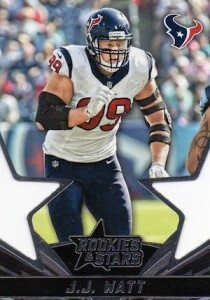 Not one Dallas Cowboys draft pick in the rookie set, you have to be kidding me! Dallas walks away from the draft with basically three #1 picks and not one of them is in this set! 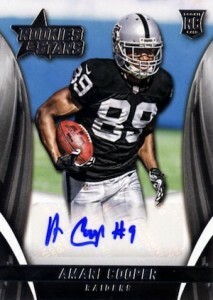 Is Panini showing a team bias? There’s a reason this product is a Target exclusive – it’s the audience Panini wanted to reach, but that doesn’t justify the price tag on some relatively mediocre cardboard. Plus, almost half the cards are rookies – most who are upper round/undrafted – so they’re essentially garbage unless there’s a Tom Brady-like player in the mix (but not likely in this 2015 draft). I’ll wait for Panini’s Absolute series to hit the stores.